Boston Rugby Club suffered their heaviest defeat of the season, losing 68-13 away at Belper. Coach Willem Jonker and captain Craig Dowse knew this fixture would be a test for Boston, even more so with the number of players currently unavailable due to work or injuries. The squad, as a result, included a number of new faces. In the forwards, Leo Costa and Mathew Coley were called up while Harry Woods and Will Paul joined the backs. 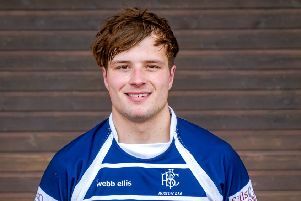 The Blue and Whites came away disappointed with the margin of their loss, which now sees them having suffered three straight defeats in the Midlands 3 East (North). On Saturday, Boston hit the road again, playing Stewarts & Lloyds in the Midlands Cup. The week after they play Sleaford away. BOSTON: Costa, Dowse, Scupham, Eldin, Coley, Lawson, Woolaston, Miles, Laidlaw, Bray, Halliday, Andrews, Woods, Paul, Neal; Replacement: Sutcliffe.